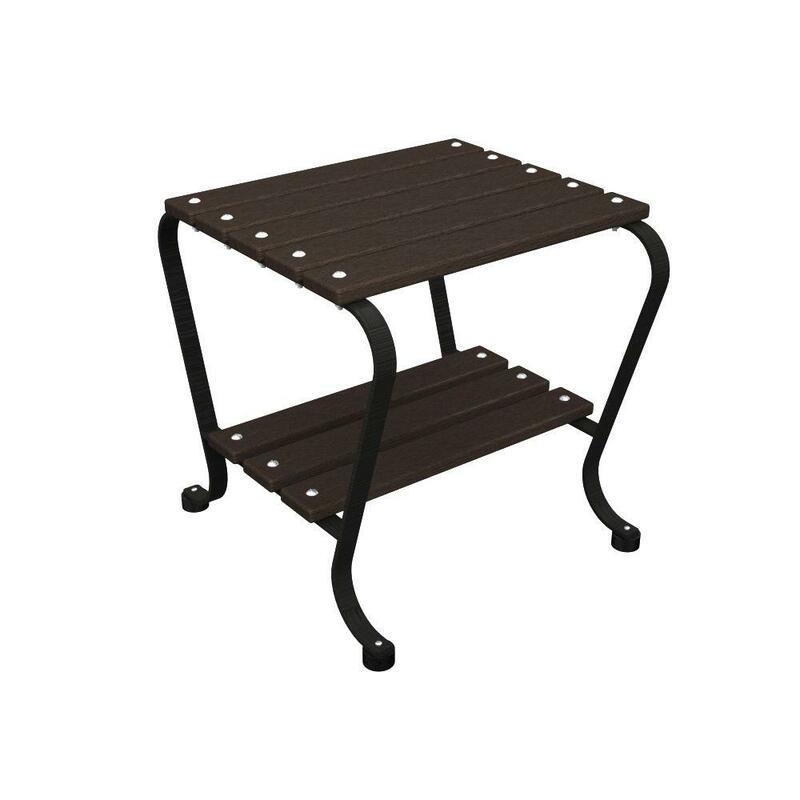 Outdoor side tables act as an anchor to your outdoor seating. 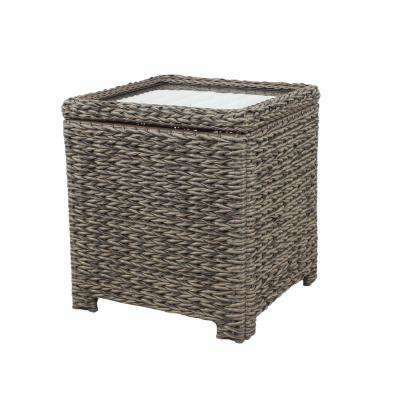 Place them between lounge chairs or sofas to tie together your patio or deck decor. 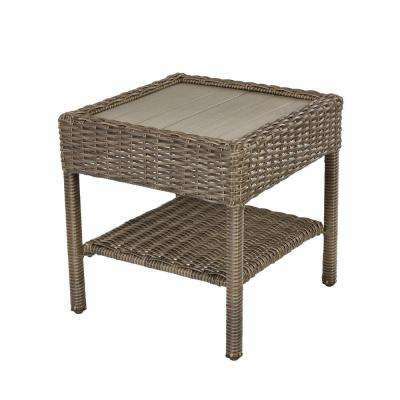 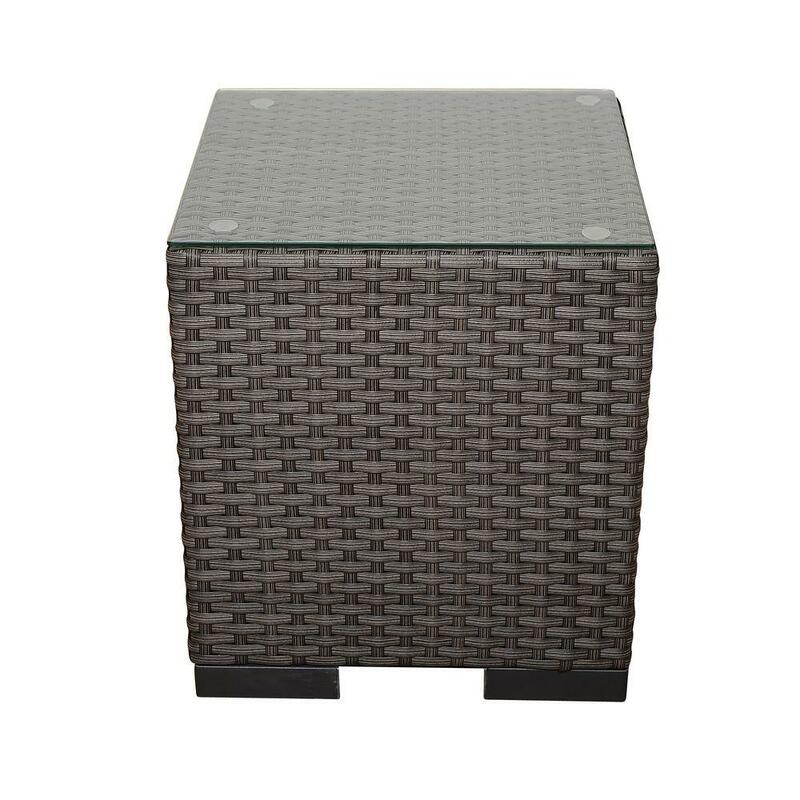 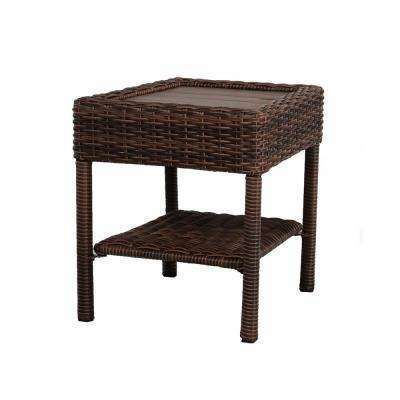 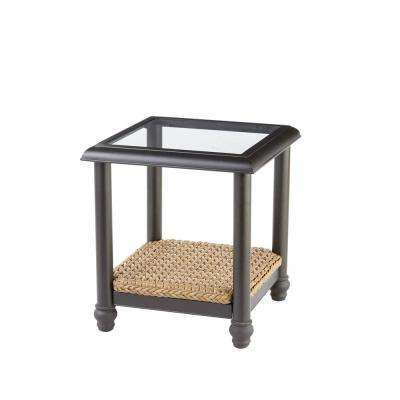 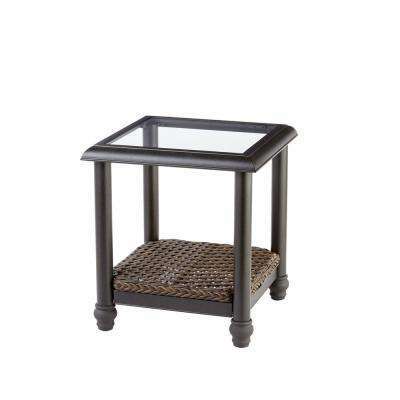 Perfect for placing a drink or a potted plant, end tables add style and function to your outdoor living space. 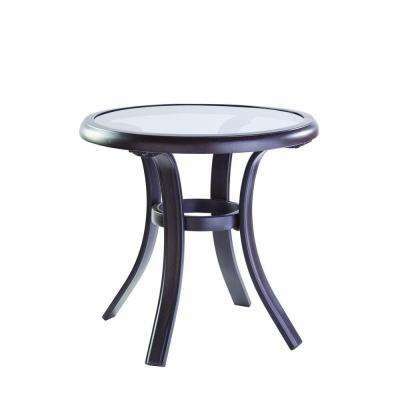 •	Contemporary. 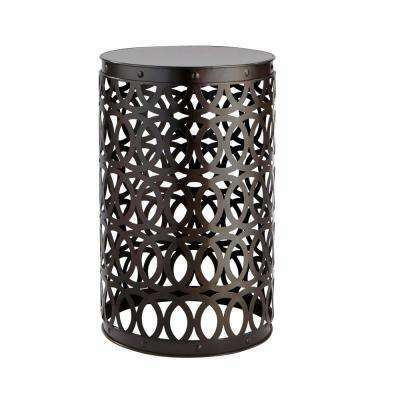 For a contemporary look, choose a modern side table in a dark color with a streamlined shape. 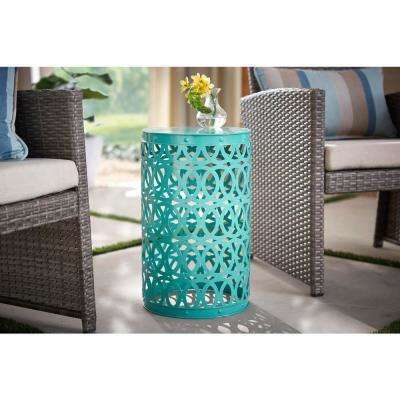 Round metal or ceramic garden stools with geometric patterns stenciled into the sides are an on-trend option. 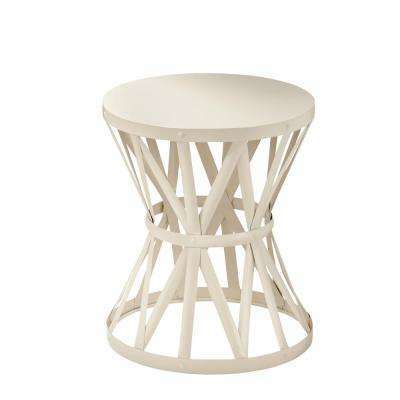 Square-shaped stools with clean lines are also at home in an updated space. 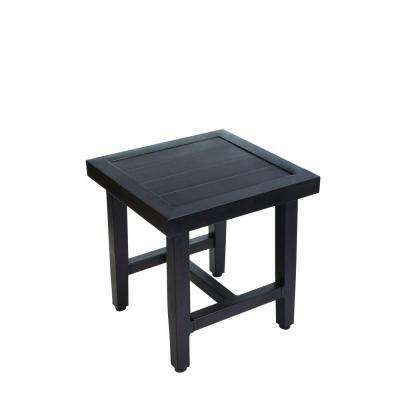 •	Traditional. 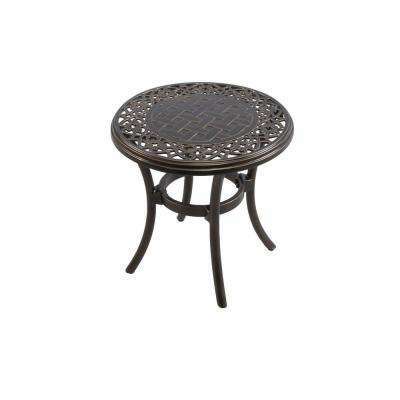 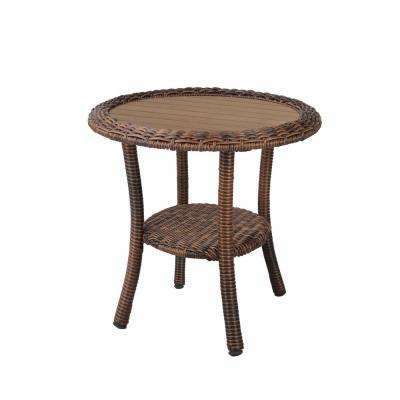 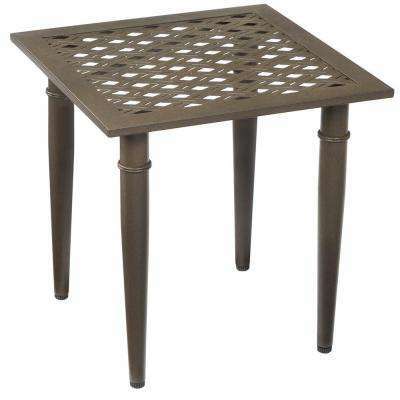 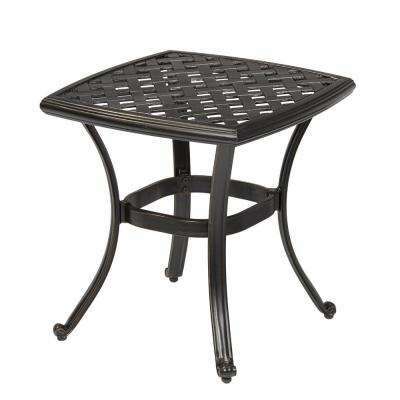 Wrought iron, aluminum and wicker tables have a more classic style that works well with traditional patio furniture. 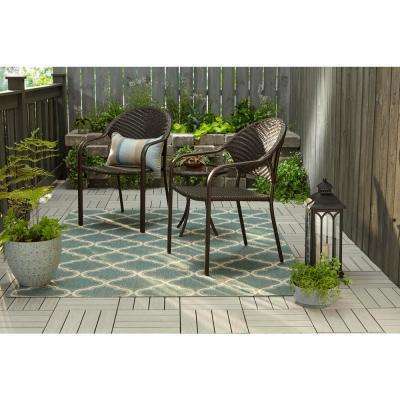 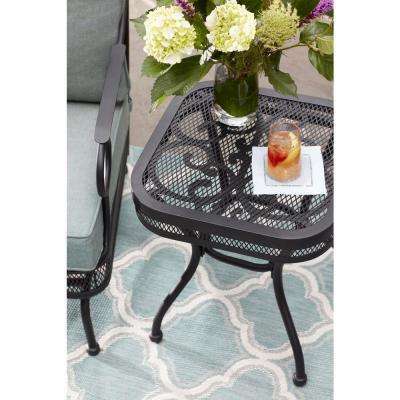 Go with finishes that match your patio chairs or dining table. 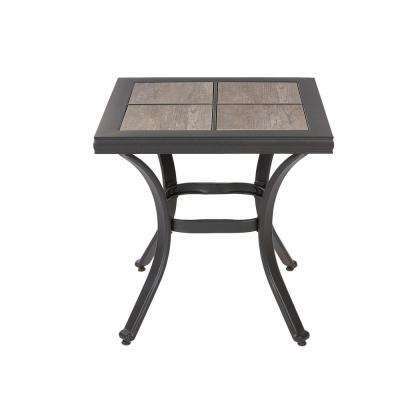 Choose a tempered glass top for a more refined look. 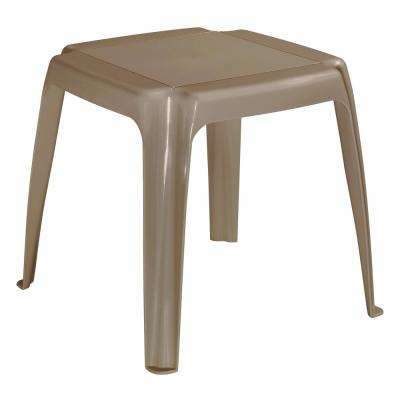 •	Casual. 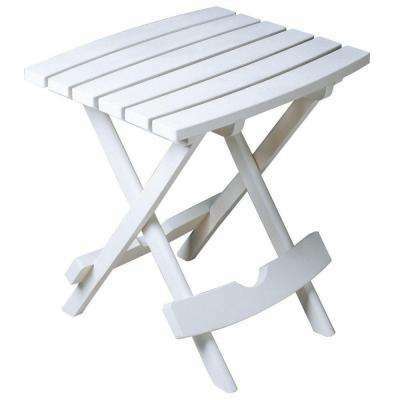 Plastic or folding side tables can be stored away when not in use. 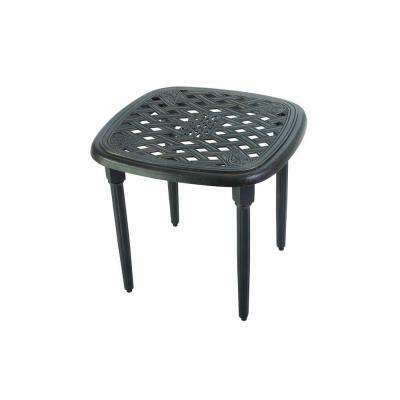 They’re lightweight and affordable, so they’re a good choice for adaptive spaces. 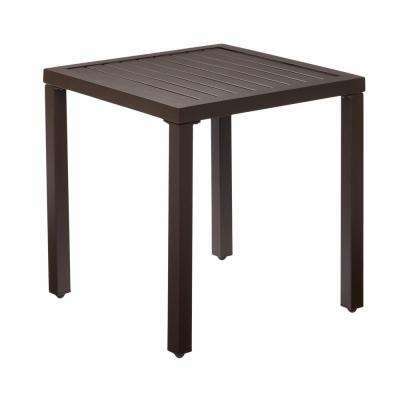 Move small plastic tables from the deck to the yard when you need an extra surface. 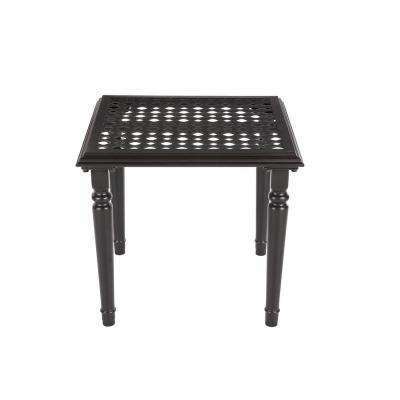 Some tables serve double duty with an extra shelf underneath. 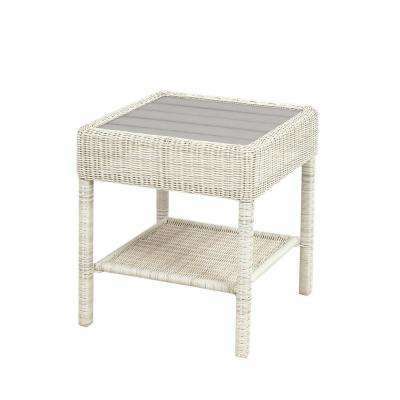 Keep these side tables with storage poolside—they’re ideal for stashing extra towels, sunscreen and water toys. 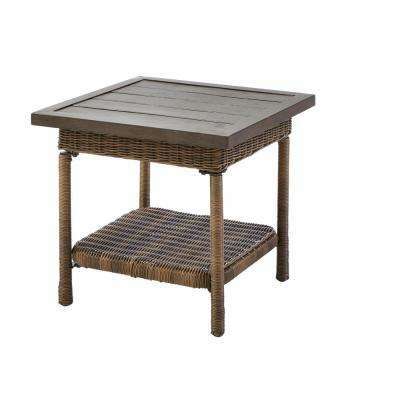 Use patio side tables to amp up your outdoor decor. 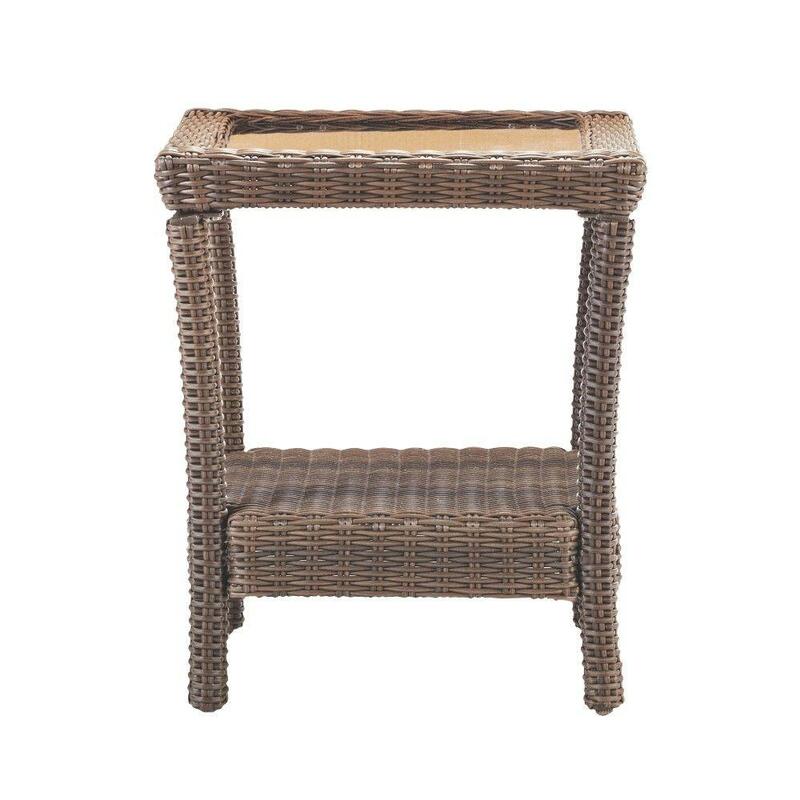 Instead of a coffee table, line up two square wicker end tables in front of an outdoor sofa. 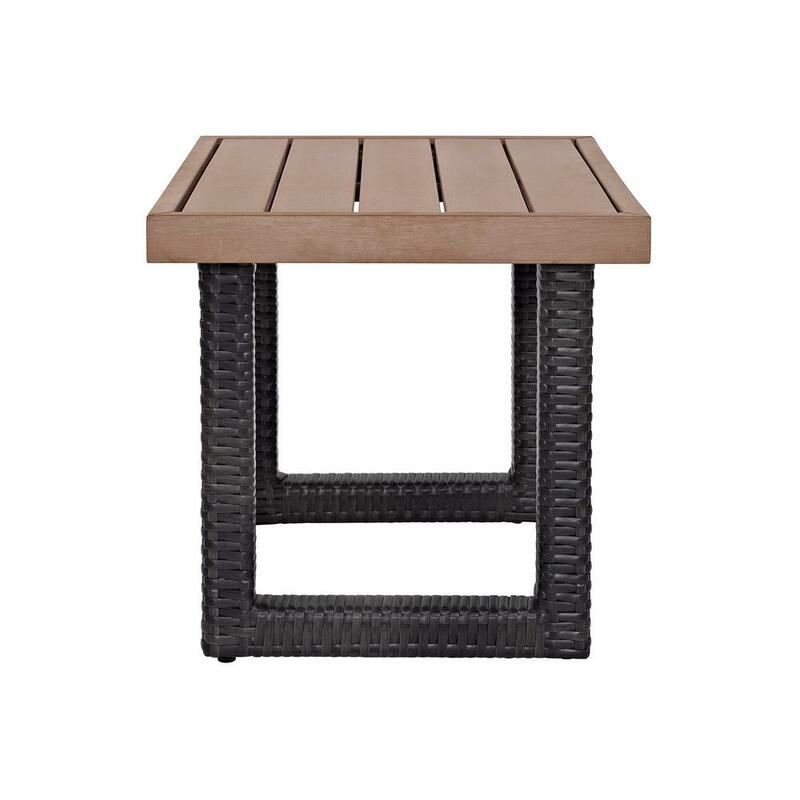 Select a slatted Cape-Cod style table to use beside a lounge chair with an ocean view. 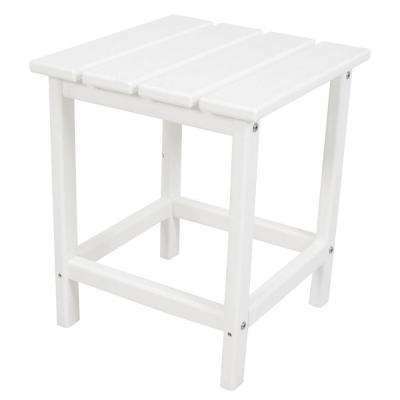 Or, place a slim, white side table in between patio chairs on the deck to break up dark tones and draw the eye. 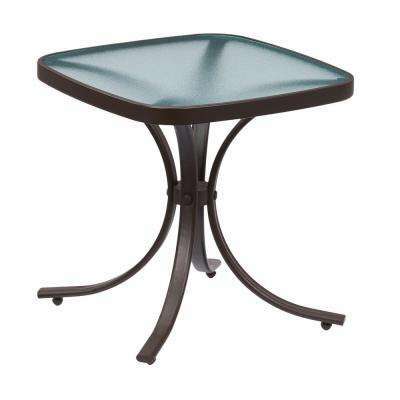 Don’t be afraid to embrace color. 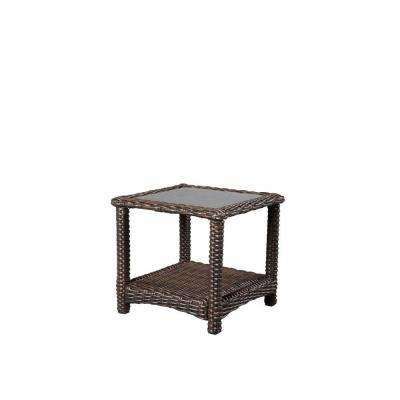 Liven up your patio with a brightly colored outdoor accent table. Side tables in bright red or yellow bring an unexpected pop to a neutral palette.